"The hands-on education in this course has made me more comfortable with outpatient procedures—particularly skin biopsies." "My management of anticoagulation, DM, HTN, lipids, opioids, anxiety/depression, and neuropathic pain have all been modified." "As a practicing physician, I am looking for the worst-case scenario and the common scenario. The lectures met my mark: lots of evidence-based, smart summaries from specialists to support our decision-making." "The speakers were exceptional: articulate, passionate, interesting, engaging and deeply committed to their area of expertise." "Motivational interviewing is now at the forefront of my clinical practice. I treat afib more aggressively, and changed hypertensive regimens based on population, to name just a few." "The way I manage my diabetic and hypertensive patients has already changed based on recommendations given in this course." "This has raised my expectations of what a CME activity should be! I cannot see myself attending any other conference going forward." "I am sure to make more current, evidence-based decisions on testing and treatment." "What is so wonderful about this course is that it leads directly to practice improvements!" "Every lecture was consistently excellent—the quality of speakers was truly impressive." "My approach to hip pain has changed tremendously after this course--I have a directed PE and HPI to elicit the etiology now." "I am a family practitioner that works full time in a rural emergency department (ED) and am also medical director of a hospice organization. I do 80% primary care in the ED, and this course quickly brought me up to date on current best practices and evidence-based medicine." "There are so many changes inspired by this course: changes in my antibiotic Rx choices, new anticoagulants, updates in my hep C management, updates in STI / UTI management, changes in my workup and referrals for neuro and rheumatology….I could go on and on." "The recommendations on lung cancer screening, treatment of nightmares, looser DM control in elderly have led to significant changes in my practice." "I have led several teaching sessions with my NPs with discussions based on this course—and I have strongly encouraged them to attend the course next year!" "For my patients with non-malignancy chronic pain, I have begun to avoid moving towards long-acting opioids." "MANY of the talks, including the hematology talk and dizziness talk, were EXCELLENT and led to immediate changes in my practice." "My approach to female urinary incontinence is more well-rounded and I am more confident to sort through the diagnosis and begin treatment on my own." "Having adopted the new approaches taught in this program to vertigo and dizziness, I see better outcomes in my patients." "Based upon what I learned at this conference, I modified my approach for the treatment of psoriasis, workup of hep C, and assessment of movement disorders." "I am now more up-to-date on the utilization of new anticoagulation medications, have increased confidence in wound care management, and have begun implementing meditation and integrative medicine options for patients." "My go-to medications have changed: I prescribe fewer PPIs and now give more levaquin for pneumonia." "The sessions on Obesity, Dermatology, Antibiotics, Hematology, Asthma, Thyroid disorders, Depression, GERD/PUD, Hospice, and Cognitive decline were all exceptional." "There were many faculty who actually gave their email addresses and encouraged questions! I practice in a "specialist desert" and truly appreciated this!" "Among the many changes I have made to my practice from attending this course: I consider ACEI for migraine; I check vitamin D for patients with dementia or statin-related myalgias; I have changed my HRT rx habits to lower-risk choices; I have a higher index of suspicion for hemochromatosis, GCA, mumps, B12 deficiency and Lyme disease… and many more." "I picked up many pointers from this program that help me provide better care to my rural, underserved primary care population. I have specialists 90 miles away, but many of my pts struggle to travel due to cost or medical illness issues. The more I can do on my own, the better … I learned a lot that has helped me be both more efficient in my practice and more current with the care I provide." 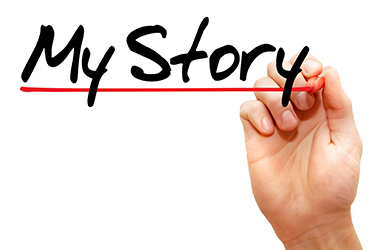 "I gained new thinking about CAD, and have altered med use (less HCTZ, beta blockers)." "The ways the specialists presented information were unique; each one had their own way of conveying their message and overall, I feel everyone did it in the best possible way." "This course has led to my educating my nursing staff about the ABCD2 score of TIA; putting up a "commitment letter" in public view stating the benefits of avoiding unnecessary antibiotics; going through my patients' med lists and suggesting they remove meds that aren't helpful or might be harmful (i.e., fibrate, fish oil, NSAIDs in CHF); and I will not touch anybody's allopurinol!" "The assessment tools and new guidelines presented in this course have been very useful in my work." "The presentation on motivational interviewing for obese patients resonated deeply with me and I feel I can reach my patients by asking them these questions." "I have changed the prescribing of some antibiotics, am doing more motivational interviewing, have modified my screening of breast cancer, and follow immunization more closely." "I have increased my use of spironolactone as an antihypertensive; improved my evaluation of "dizziness"; updated therapy for urinary incontinence; improved the eval/treatment of headaches; improved understanding of testosterone risks/benefits; improved eval of hand/wrist and when/why referral is indicated; and have a better understanding of diff dx of elevated transaminases and appropriate diagnostic workup." "I am confident that I can now make smarter decisions based on evidence." "There were many presentations of real-life clinical situations in this course. How these were managed, reviewing what went wrong, and the pitfalls to look out for were all very instructive." "I don't order as many nonspecific tests for possible rheumatologic disorders; I have changed the way I manage chronic nonmalignant pain; I am firmer about not giving antibiotics for viral illnesses; I send patients to rheumatology more often—rather than ortho—for certain complaints; and I have a better handle on headache management and no longer prescribe certain medications." "In my functional assessments of older patients, I now have a more comprehensive approach." "I have introduced the concept of the Patient-Centered Medical Home to my practice." "Recommendations I have adopted from this course include: using the 30-second blurb for prostate cancer screening; using a stepwise, 3-month approach to obesity; using spirometry more for my asthmatic/COPD patients." "The education and materials you receive are resources you can come back to over and over again throughout the year." "Just to mention a few of the modifications to my practice: I gained valuable perspectives for HRT in early menopause in low-risk women; I focus more concern on LDL than triglycerides; I more thoroughly evaluate fatigue; I use spironolactone in resistant HTN." "The phenomenal speakers are why I return year after year!" "This course has led me to consider medication side effects in seemingly unrelated problems of a patient. I also offer my patients the web-based resources that were recommended by course instructors." "I have become more confident in medical treatment of weight loss and with new anticoagulation agents. I am also using more new oral and injectable agents for diabetes." "All of the workshops with hands-on learning were truly outstanding." "For my patients with resistant HTN, the protocol I learned at this course has proven quite useful." "Several sessions provided information that I have taken back to work in areas such as diabetic management, blood pressure targets, vertigo assessment, CKD assessment and management, testosterone assessment and treatment, etc. " "There were pearls throughout the course that are exactly what I was looking for in terms of refining and improving my practice." "After participating in this program, I am more comfortable with orthopedic evaluations and management (ankle foot/hand/elbow)." "Attending this course made me understand better how to use new medications and tests." "I am now more involved in the treatment of obesity, particularly with lifestyle changes and use of medication." "This course provided me with many practice modifications. To name a few: new approaches for the back exam, medicines for chronic pain other than narcotics, and breast cancer screening." "I have made multiple changes: I treat onychomycoses with diflucan, use prazosin for nightmares, and plan to try obesity drugs. I am also more relaxed on elderly diabetics." "This course has altered my approach to Pap smears, mammograms and prostate screening to align with new guidelines." "The review of bread-and-butter topics such as HTN and hyperlipidemia was eye opening—very helpful for me to update my practice." "The speakers were bright, entertaining and focused their talks on what PCPs need to know to deliver value-based care." "I am now equipped for better evaluation of hematological abnormalities, movement disorders, as well as STI screening and treatment. I can better select between the new anticoagulants and offer them to the appropriate patients. I have made changes in applying guidelines for the cholesterol risk calculator. I have increased consideration of nonstress-test cardiac evaluation in my patients. I gained confidence in knowing which SSRI to prefer in specific patients. I came out of nearly every lecture with some extra knowledge that could be applied to my work." "I was inspired by the ability of many lecturers to learn from their patients—I am going to rededicate myself to learning more from my patients." "The talks about the things we do most--Hypertension, Diabetes, and Hyperlipidemia--remove the noise we get from the pharmaceutical companies and bring it down to what works." "This is one of the best multi-day conferences I have attended. You have consistently high-quality presenters and well-chosen topics." "Great course due to the quality of the speakers and the length of time for each topic- VERY important." "Apart from the educational activity's pivotal role in exposure to the latest medical findings and networking, this course has given me an excellent opportunity to relate and discuss the possible improvements in conventional treatment methods directly with the top experts in different medical fields." "I am much better able to manage dizziness, LBP, PVD, obesity, urinary incontinence, allergy problems—all of these great topics [from the course] definitely impact the quality of my practice." "Many lecturers were extraordinarily impressive in both their knowledge and their presentation skills." Year after year, this program is attended by clinicians from the U.S.A., Canada, Europe, South America, the Middle East, Asia, and Australia.